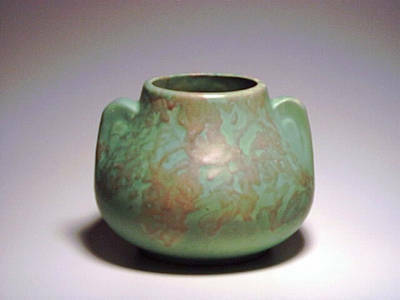 Description: Sometimes called a fawn vase. About 5" tall. 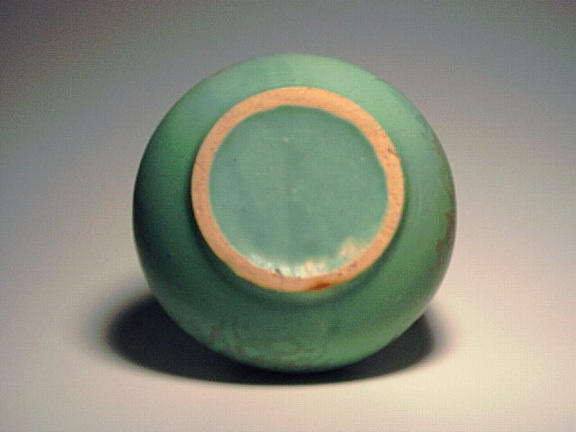 Matte turquoise and copper glaze. VERY clean example.